Heat the oil in a saucepan over a medium-low heat. Add the onions and sauté for about 10 minutes, until soft and translucent. Add the garlic, ginger, chillies, garam masala and curry powder, and stir for a minute. Remove the soup from the heat, cool slightly and then purée in a blender or food processor, or with a stick blender, until very smooth. Return to the pan, stir in the coconut milk and warm through gently. Take off the heat and add the coriander and lime juice. Taste and adjust the seasoning if necessary. 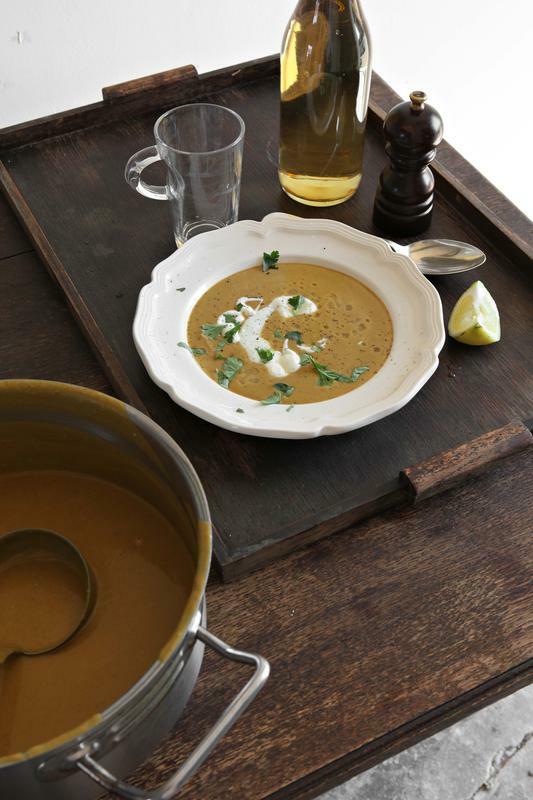 Serve the soup topped with a good dollop of yoghurt, if you like, and scatter over some torn coriander. Finish with a little black pepper.